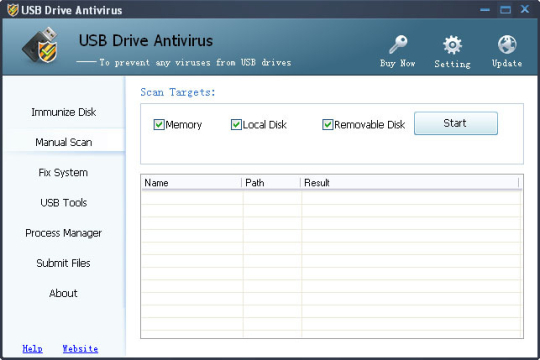 USB Drive Antivirus provides comprehensive protection against any virus, worm trying to attack via USB drive. When an USB device is inserted into your computer, USB Drive Antivirus will automatically scan it, block and delete USB virus, trojans, and malicious code. Also it can detect and remove USB virus such as autorun virus in your computer. USB Drive AntiVirus can also remove the autorun.inf virus due to which you can not open your hard disk and USB drive (Pen drive, Memory card) by double clicking. 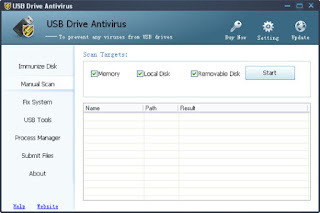 USB Drive Antivirus is the best USB antivirus software to permanently protect your computer against any USB worms. This light and easy to use solution is compatible with other antiviruses and doesn't slow down your computer at all. What's new in this version: Version 3.01 detects 1000+ USB autoplay virus and improves antivirus engine.